Into the West Irish Wedding. The Kingdom of Kerry. Irish weddings require stamina. It’s not just the day itself, it’s the night before and the ‘settler’ the evening after…but in Aibhilin and Marc’s case, they decided to throw in St. Patricks weekend for good measure. Paddys day falls in the middle of Lent where officially, unofficially as an Irish person, you’re given special dispensation to go back on the chocolate and the drink. 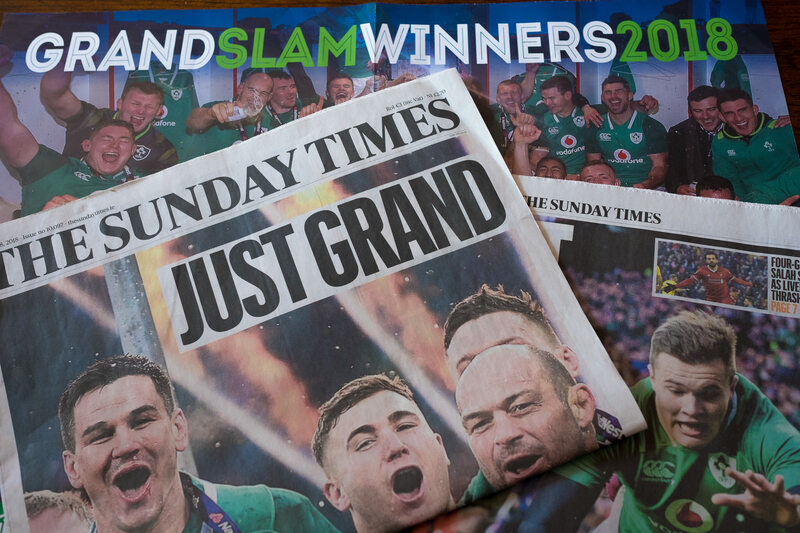 It’s also the tail-end of the Cheltenham festival and this year there was the small matter of a Rugby 6 Nations Irish grand slam to win..we just had to beat the English! The Ryan Air flight full of Cockney rebels from Luton was about to land into a country primed for meltdown. Irish wedding mornings generally start the same way. There’s the ‘I wouldn’t touch a black pudding with a barge pole’ conversation, somebody will try and bribe the weather with the Child of Prague and somebody else will suggest knocking its head off because a decapitated holy statue in Ireland is more likely to part the rain clouds! It’s also worth adding a few extra minutes onto your fashionably late timeline as invariably a tractor will be taking the same route as you to the Alter. Failing that…you will definitely get photobombed by one. Aibhilin grew up in a village called Moyvane, in Co. Kerry. The Kingdom of Ireland. The most stunning of landscapes. In her own words it’s small – with a shop, butcher, chipper, post office and 4 pubs. Marc is a little more exotic with a Maltese father and a Scottish mother. They both met, initially with conflicting opinions of each other(! ), somewhere en route between the Claddagh and the Quays in North London -a rite of passage for every late night thirsty Irish reveller. Fast forward a few years and a proposal on the Cliffs of Moher – almost upstaged by a genuflecting amorous American – and here we were in Speedys throwing shapes and throwing darts and drinking pints. Dotts Bar in the Rose Hotel provided the perfect back drop for some Sopranos style posturing and just enough time for the double act of Best Men to warm up and rampage their way through the speeches! And the rest of the night needs no explanation ….dance floor….cocktails…Bulletproof! And then this happened… A perfect ending to a perfect wedding!